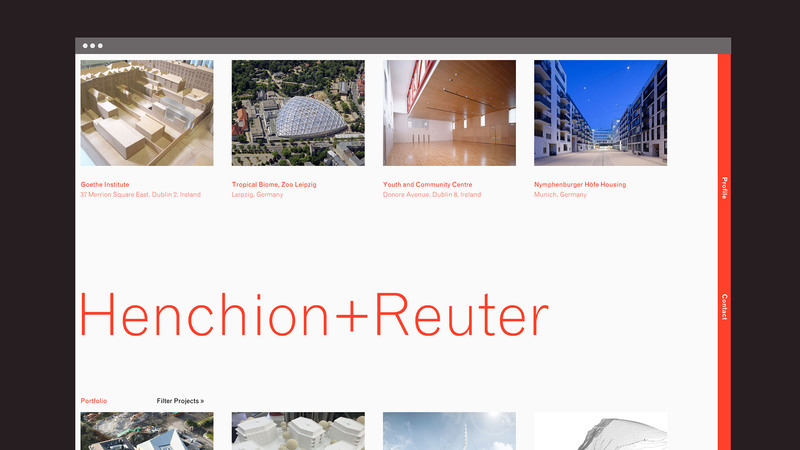 Henchion + Reuter is an architecture practice based in Dublin and Berlin. Since the partnership began in 1994, the practice has been engaged in the design of a diverse series of projects, for a wide variety of uses and locations. The practice seeks to give form to new ideas, and this is the focus of the outputs, rather than a more easily defined grouping in terms of clientele, scale or use. 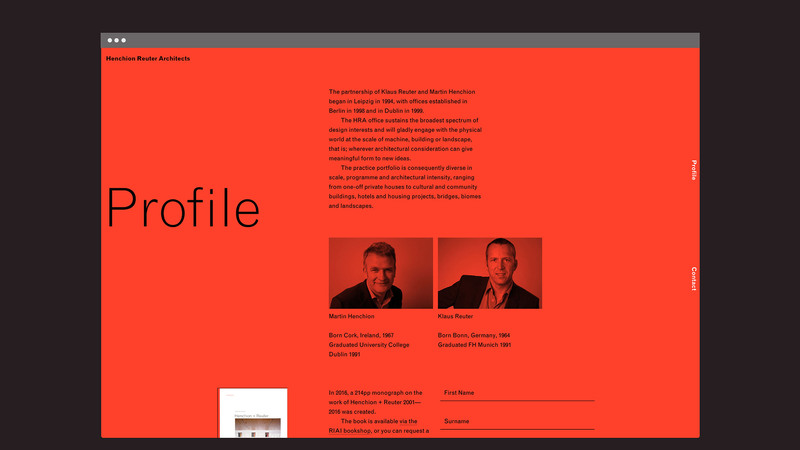 Having completed an internally-produced monograph in 2016, the practice was eager to update its online presence to reflect the scope of work and to highlight some specific achievements. The goal of the website is to provide a route into the work for the viewer. Navigation between projects is low-friction, and any inclination to explore on the viewer’s behalf is quickly rewarded. In showing an individual project, the viewer can focus on the work and understand quickly the merits of the given approach or outcomes. In order to do this, we developed ways to comfortably house a variety of image types (photos, drawings, plans, renders). Each method reflects that image type, and remains connected with the rest of the website. 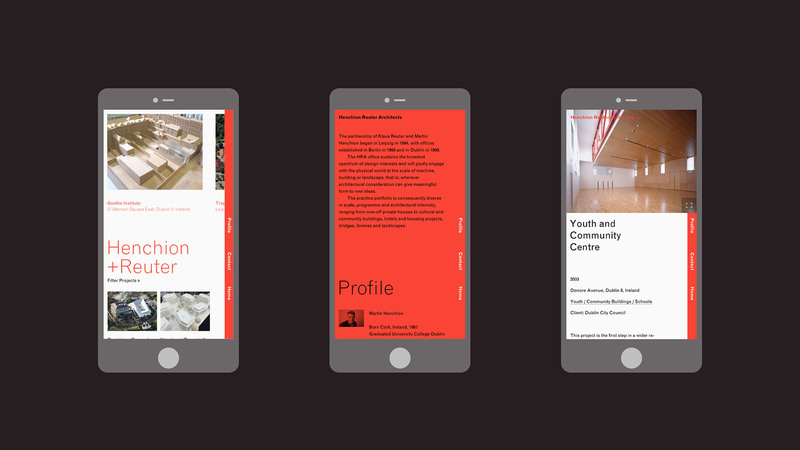 Alongside the website we produced a small amount of print which further connects the aesthetic of the monograph with physical-world manifestations.